Remember Goldilocks? I know, it’s probably been a few years since you’ve gotten away with those picture books in school. She’s the one who kept looking for the chairs, the porridge, the bed that was “just right.” You see, Goldilocks was faced with options. These options were fine options for the three bears in the cute house she wandered into, but Goldilocks had to think about the option that was right for her. So, picture this profile of a college, and try to be specific about what is important. Maybe it’s about 5,000 students in a warm part of the country with amazing outdoor activities and environmental science study options. Take that list of college characteristics and now match that up with what kind of student that college is looking for. What kind of SAT/ACT scores or Grade Point Average does an accepted student typically have at that college? What is the college’s acceptance rate? Here’s a good way to find that information: on the college home page or even from Google, search “class profile,” or “admitted student profile.” Don’t let this list of numbers scare you off! These profiles don’t mean that you need to fit within every single range of numbers. Most colleges look at many different qualities or factors when they make their admissions decisions. We’ve found that College Board’s College Search tool is pretty helpful for plugging in your priorities and getting the colleges that meet those priorities. The college profile will help you figure out what is a “safety, match, or reach” school. Your college list should include at least a few of each, and don’t include a college on that list that you wouldn’t be satisfied to attend. Chapters 4 and 5 in The Guide offer some great tips on building and then managing that college list. You’re going to have a lot of deadlines! Now’s the time to get that adulting going. Spreadsheets and checklists are your friend. ACTION STEP: WE KNOW YOU KNOW HOW TO USE GOOGLE SHEETS. OR EXCEL. LIST YOUR COLLEGES IN THE LEFT-HAND COLUMN AND THEN MAKE COLUMNS FOR EVERY DEADLINE FROM THEIR APPLICATION WEBPAGE. HERE’S OUR NOT-SO-PRETTY BUT REALLY PRACTICAL EXAMPLE FROM OUR GUIDE. Newer PostHow do you really get to know a college? 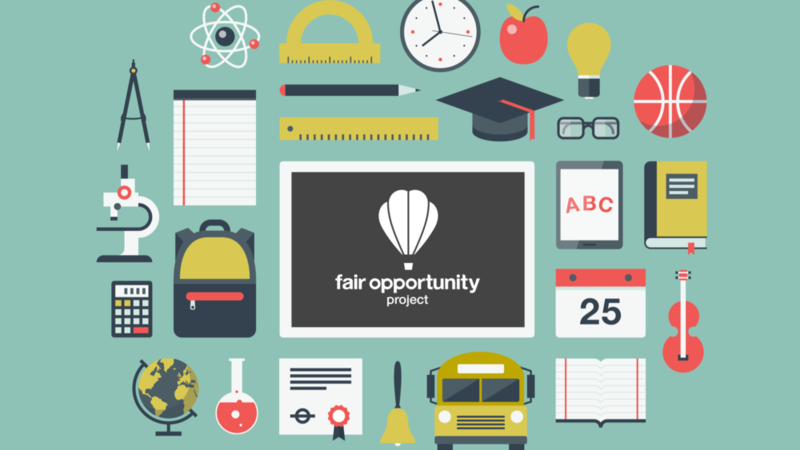 Please send partnerships, press, and general inquiries to info@fairopportunityproject.org.